For the members of The fin., being a Japanese rock band isn’t easy. Ever since its inception, the four members say they have felt a sense of being on the outside of an industry that rarely embraces those who challenge established conventions. Even after garnering attention two years ago with debut EP “Glowing On the Red Shore,” the situation remains the same. Uchino doesn’t reference any act in particular, but later on he mentions Lite and Bo Ningen. He adds that last year was a big one for the band, which also includes bassist Takayasu Taguchi, drummer Kaoru Nakazawa and guitarist Ryosuke Odagaki (all four members are 24). The venues they play have been getting larger, as have the crowds, and Uchino thinks this may be down to the sheer amount of shows they’ve done overseas. Originally from Kobe, The fin. released its second EP, “Through the Deep,” earlier this month. There are definite signs of growth compared to debut full-length “Days With Uncertainty,” which was released at the end of 2014. Perhaps influenced by their time in China, Australia, Britain and at last year’s South by Southwest festival in Austin, Texas, “Through the Deep” continues the band’s washed-out, Western indie rock-inspired sound. The EP is less focused on traditional instrumentation, however, opting instead for more electronic elements — which could be a hint as to the path the group is heading in. Some of this has to do with how the songs were written; Uchino says the demos he made were more fleshed out than before. “There was a part of myself that I couldn’t express previously and last year I became conscious of that fact,” he says, adding that he found it difficult to get across what he wanted in the music without other people’s help. Now he’s able to take care of things by himself. What becomes clear during our chat is that Uchino is now very much in charge of the song-making process. He speaks confidently about writing and performing, as well as being heavily involved in recording and mixing the tracks. And his bandmates don’t seem to mind taking a bit of a back seat and letting Uchino drive. 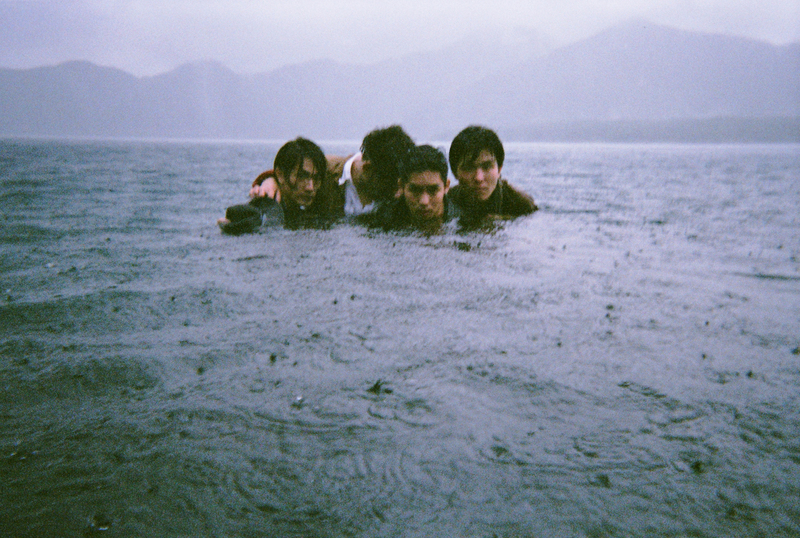 With songs titles like “Anchorless Ship” and an overall reverb-leaning watery soundscape, “Through the Deep” evokes a lot of oceanic imagery, something that’s also reflected in the band’s main promotional photo: the four young men half-submerged in Lake Motosu, one of the five lakes near Mount Fuji. Uchino mentions that the photo was taken on a cold October day in the rain. Sonically, each choice seems to have been placed carefully, like the keyboard intro and grooving bass of “White Breath,” or the arpeggiated synthesizer swimming through the electronic beats of “Divers.” Other songs, such as the title track, are deliberately sparse with Odagaki’s restrained guitar notes and Uchino’s pulsing keyboard the only textures set against a simple drum beat that builds up but never quite explodes in a conventional manner. These choices make “Through the Deep” feel more like, to borrow Taguchi’s metaphor, a painting. 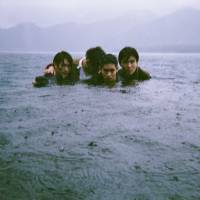 It’s more atmospheric and unlike the music being made by the band’s peers and other young rock acts in Japan. In contrast to the somewhat shallow interpretations the band feels it gets in Japan, the members are much more excited about the reception they get abroad — even saying that fans sing along to their songs. Like many other Japanese bands who have found success abroad — Boredoms, Boris, Shonen Knife — there’s a danger in being written off at home as a group that can only sell overseas. Uchino says it is challenging to balance audiences. With another EP in the bag, the band is now focused on recording its second full-length album. But before doing so, it’ll embark on a brief, three-city national tour, and then surely more shows in Asia, Europe and North America. Whether playing in Japan or elsewhere however, it’s all the same for Uchino. “Through the Deep” is in stores now. The fin. plays Shinsaibashi Music Club Janus in Osaka on April 1, Club Upset in Nagoya on April 2 and Club Quattro in Shibuya-ku, Tokyo, on April 9. For more information, visit www.thefin.jp.